Everyones talking about Wheatgrass from Celebrities to online magazines but what’s the best way of growing your own? 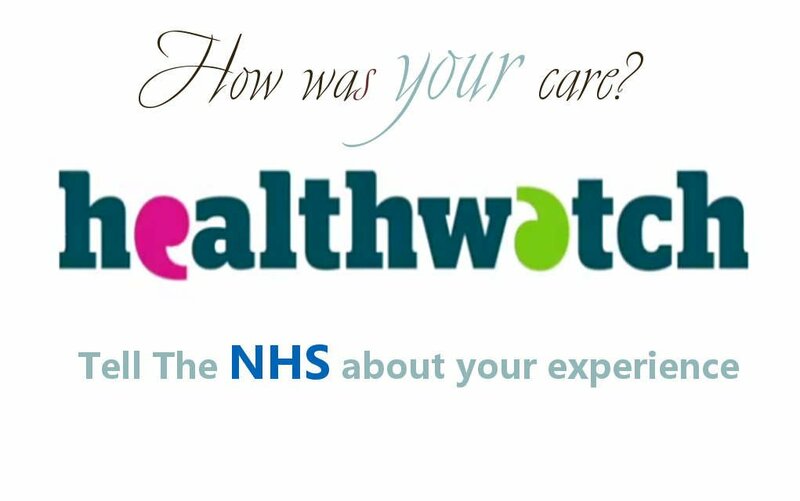 Read on to find out how. 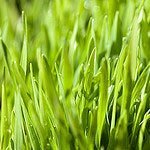 Wheatgrass is exactly what it says on the tin, plain old Wheat grass, while this might not sound very interesting or special to begin with it does make the process of finding all the stuff you need to grow your own very simple. 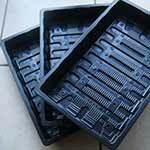 I like to buy the firm plastic seed trays as they are reusable, I get the standard size 38x23x5 cm trays because they are a good size for me, if you plan to plant your grass on a window sill you can get long narrow trays that are ideal for this purpose. 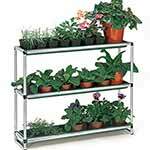 Choose the size of tray that fits the space where you plan to grow your grass, whether that be a windowsill, Conservatory, Greenhouse or just under a net outdoors. 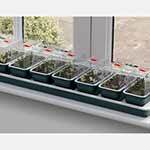 Here are a few examples of different seed trays and even a handy window sill racking system. I like to use a really good quality compost such as John Innes because the nutrients from the soil are what’s going into your grass, it may be more expensive than the cheap stuff you can pick up at the local store but some of that stuff is basically waste from the tip that contains plastic and all kinds of other nastiness. I like to buy mine in bulk from Brow farm in the UK, they deliver next day and it’s cheaper in bulk but if you’re not in the UK just do a Google search for organic wheat seed in your area. 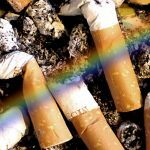 There are plenty of suppliers out there. I like to use a small watering can for Wheatgrass, you don’t want to over water as this can cause mould. A copper watering can is better if you have one but not essential. 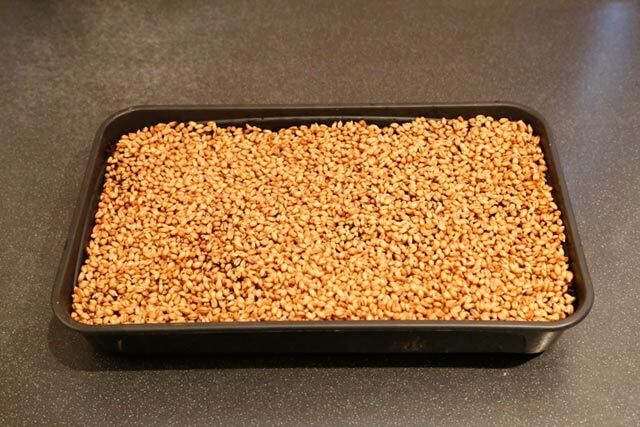 The last thing your going to need is a large plastic bottle, this will be used to prepare the Wheatgrass seeds by soaking them overnight in water prior to planting. Firstly you’re going to need to prepare your seeds. Pour your seeds into your plastic bottle or container to around 3 quarters full or just under, then fill your bottle right to the top with cold water. The seeds will expand inside the bottle, this is why we leave the top quarter empty, the water won’t come out of the top though as it is soaked into the seeds. Leave your bottle to stand overnight in a warm dark place, this will soak the seeds and activate the seeds germination process. Take out one of your plastic trays and your compost. Make sure the compost in the bag isn’t too tightly compacted, they usually stack these bags on top of each other which compacts the compost, give the bag a good massaging at the end you are going to open, this will help you to get the compost out of the bag and help stop big chunks of compost finding their way into your tray. Open up the Compost bag and pour in enough Compost to fill the tray about three quarters of the way up, break up any lumps of compost and gently flatten the compost into a nice flat bed. Remember the bottle of seeds that we soaked overnight? We’re going to need those now. 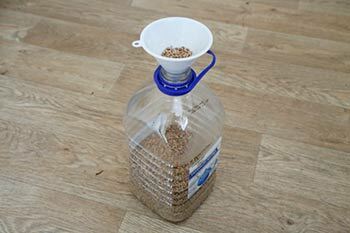 Take the top off of the bottle of seeds and drain out the excess water, the seeds won’t come out of a bottle as they are usually stuck together by the pressure in the bottle. Next, I like to take out a Stanley knife or small serrated kitchen knife and cut around the top of the bottle, this makes it easier to get the seeds out of the bottle, if you are careful you won’t lose any seeds and you can open the two parts of the bottle so that the seeds fall into the tray. 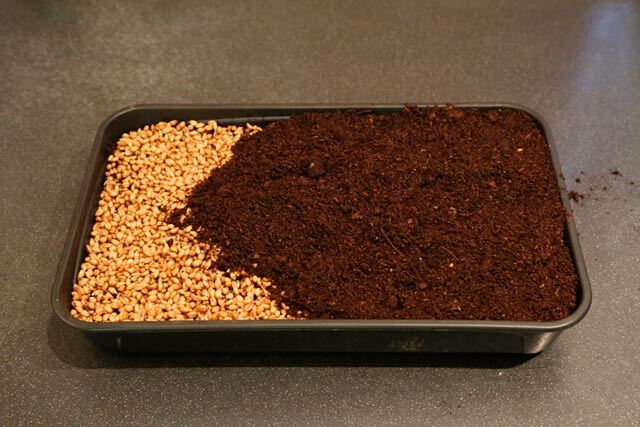 Pour out enough seeds to completely cover the compost, the seeds should be touching each other with no visible space between, this ensures a nice carpet of grass and saves you planting more trays than you have to. Once you have the seeds in the tray take out some more compost and cover over the freshly planted seeds, gently crushing up any lumps of compost before they are allowed to fall into your tray and disturb your neatly laid out seeds. 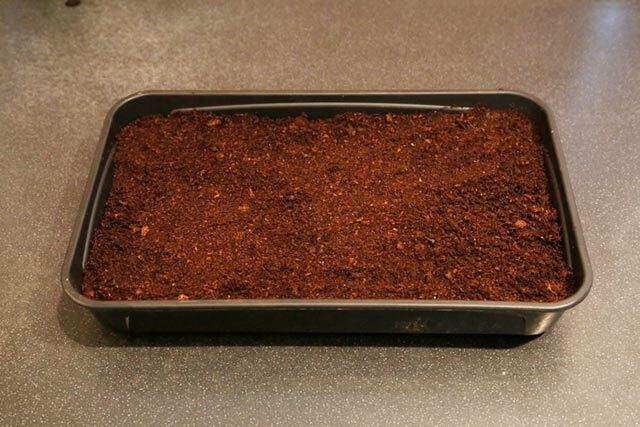 This layer of compost should only be enough to barely cover the seeds because the seeds will grow at a uniform rate, pushing up the top layer of compost like a sheet and you will have to remove this later which can be messy. 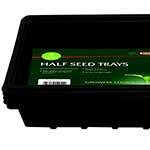 Once you have the seeds in the tray all nicely covered up you will need to add some water. As the seeds grow you can add a little more water but I like to keep watering to a minimum because it promotes the dreaded mould. Once the seeds start to come up you can give them a little bit more water either with the can or the spray bottle, I prefer to use the spray bottle at this stage because you can break down any compost that is being pushed up by the seeds with the water jet from the bottle. Anyone who has tried to grow Wheatgrass will tell you, mould can be a real problem. Mainly I’ve found that mould is a product of over watering and a lack of ventilation, when grass is growing outside it doesn’t tend to get mould because the wind is constantly blowing on it and the sun is constantly drying it. If you have your Wheatgrass on a windowsill or indoors, mould can and will grow at the base of the grass, if you start to suffer with mould lay off the watering for a while and the next time you water, use the spray bottle, adding things like lemon juice and malt vinegar have been suggested as mould killers but they haven’t reduced mould in our experience. Fortunately the mould isn’t harmful to humans and although it is a little unsightly it’s not a problem, just cut the grass above the mould and give it a rinse before you juice it. 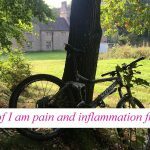 I like to leave my Wheatgrass for as long as possible so that I get the most out of it but there will come a point where the grass will start to fall over on itself, this is usually the point that I decide to cut my grass, unless I can’t keep my hands off of it…. You should always cut the grass before it attempts to split into two blades as the potency of the juice is diminished at this point. What do I do with all this grass? 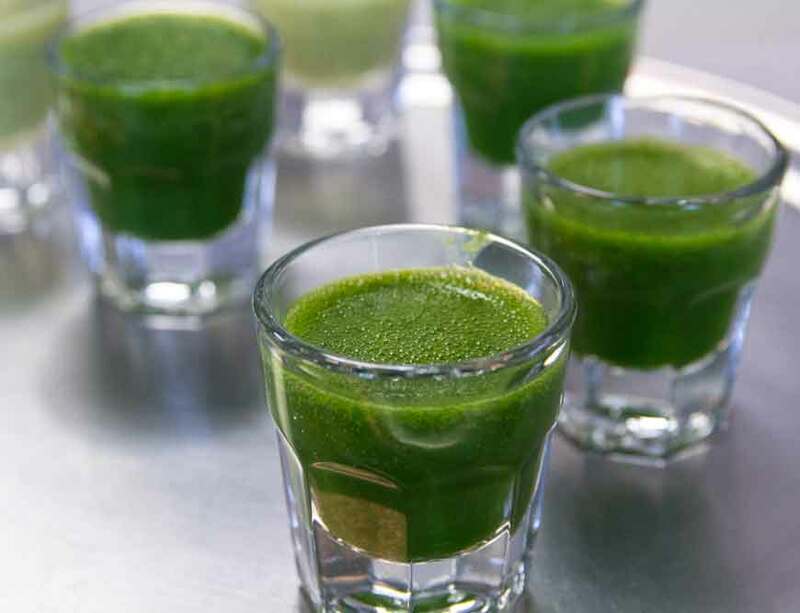 If you are anything like me you will probably go and plant 6 trays of Wheatgrass at the same time, this can be great if you intend to use it very regularly but often you get overwhelmed with a glut of grass. 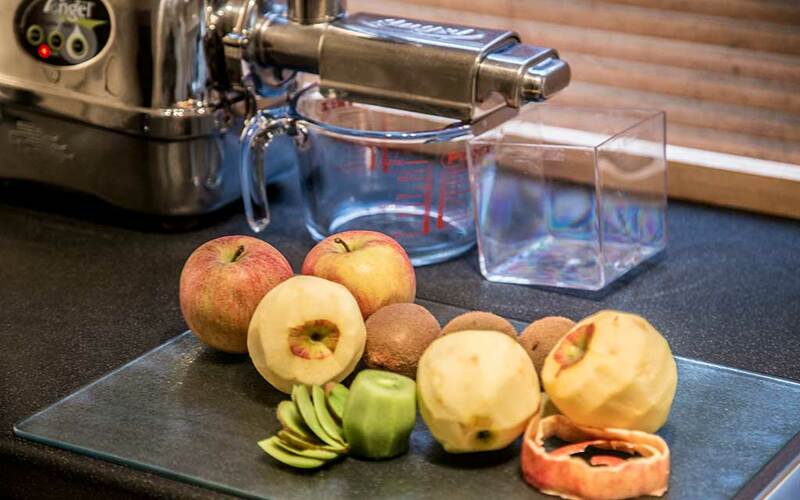 The best way to deal with this burgeoning crop is to juice it right away and freeze it, we buy little plastic cups with lids and freeze the Wheatgrass in our freezer, when we want a Wheatgrass shot we just take one out and throw it in the blender with some fruit and make a smoothie. So there you have it, Grow it, juice it, blend it, drink it, love it! 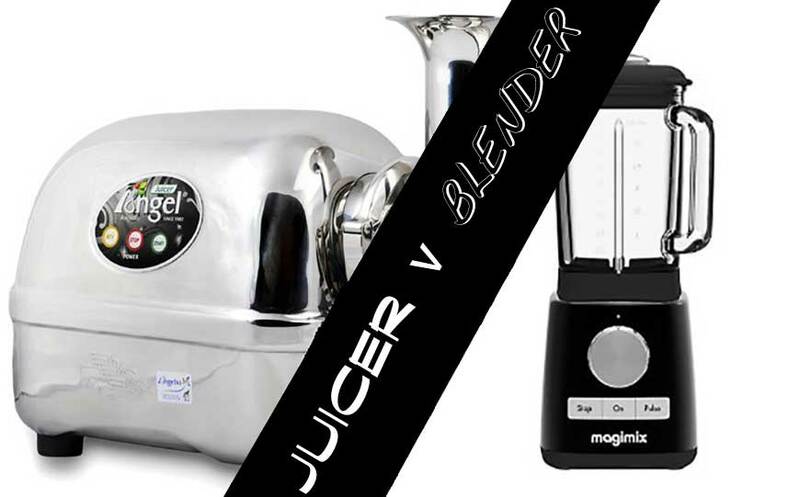 Previous Juices or Smoothies which is better? 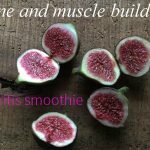 Juices or Smoothies which is better?